Columnist James Giago Davies previously criticized anti-racism activists with the extremely weak "don't they have anything better to do?" argument. Now he's back with a column on mascots--this time intended to prove he's superior to both sides. True, he takes on the Redskins this time--perhaps because people excoriated him for supporting racism the last time. Redskin supporters argue thatsports teams intend to honor Indians by naming sports teams after them, but that is not reasoning that is rationalizing. They want to keep the name of the team as is, for reasons of tradition, a tradition established at a time when you could use openly racist epithets and it was socially acceptable. Calling the team the Redskins worked at the time because Redskins conjured up images of fierce warriors, but the intent was never to honor Indians. Were that the intent, if Indians really were something so honored and respected you would name a team after them solely for that reason, then present day Indian objections to having a team named Redskins would be just as honored and respected, and the name change to something less offensive to aboriginal Americans would have happened a half century ago, when the first serious objections to the team name made the national media.But he also wants us to know that anti-mascot activists who have said the same thing are still somehow wrong. According to him, activists argue thatnaming a sports team after Indians for any reason is demeaning to Indians, and is solely intended to mock and marginalize, but that is not reasoning, it is rationalizing. 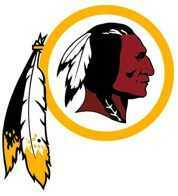 If the sole intent were to demean Indians, then why aren’t teams named the Chinks or the Niggers, why just the Redskins? They are equally demeaning racial epithets, aren’t they? We don’t call teams the Washington Weaklings or the Capitol Cowards. Teams are named after positive symbols, not negative ones. This is a straw-man argument that falsely characterizes what activists think and say. We've never said the team chose or intended the name to mock and marginalize Indians. The word "solely" is especially false, if that's possible. No one has said that everyone from George P. Marshall to Dan Snyder had and has a monomaniacal desire to demean Indians. We understand that they believe(d) their fantasy about "honoring" Indians. In contrast to your straw-man argument, here's what activists actually say. One, the name is a dictionary-defined racial slur. Two, it promotes the stereotypical notion of Indians as primitive people of the past. We're not addressing the name's intent, we're addressing its effect. To reiterate our argument, the name has the effect of marginalizing Indians regardless of the intent of owners and fans. People cannot see Indians as full-fledged members of modern society when they believe them to be savages in feathers and leathers. One view negates the other. Too bad the activist side of your argument--i.e., half your column--is wrong. Try again, and better luck next time. Perhaps read some of Tim Giago's columns to understand why the R-word is harmful to Indians. For more on the Washington Redskins, see More Boycotts of the Washington Redskins and Redskins Mascot = Confederate Flag.